Do you wish to prevent your website falling prey to hackers and their tricks? We shall share 5 smart tips to protect your website from hackers. You take great care in developing the best website for your company. Every word is checked twice, thrice. All information is carefully scrutinized to make sure there is no mistake. It is color coordinated as well pleasing to look. Once you put it online, it is for the world to see. Many people will walk into your website online, go through your data and understand your ideas. However, some people don’t just walk in to your website to gaze at your information or look at your products. They come with a malicious intent with one aim, to steal your data. You need to be smart and protect your website from hackers. You can never know when and from where someone searches your website for the details of your customers, credit card information and other personal details. As a website owner it is your legal liability to protect the data of your customers and keep them away from unsolicited eyes. It is not always about stealing the customers identity, personal information, or credit card details. At times, the hackers just want to delete the information stored on your website, leave a nasty message, and ask for a ransom to give back your data or destroy the company’s reputation. Once the damage is done, it can never be undone. The best way to prevent such an unwanted event is to protect your website from hackers. There are many methods to do so, but we shall discuss 5 smart tips to prevent a hacking disaster for your website. You can create your website on any online platform that suits your needs. All online platforms release updated versions of their software regularly and it is your duty to make sure your websites updated accordingly. There may be certain bugs or minor flaws in the previous versions that may make your website prone to a hacking attack. You may not realize it the latest version may fill in that gap and make your website more secure. So, make sure you keep your website updated to the latest version regularly. You may use the strongest password possible to secure the access to your website; however, it is important to keep changing it regularly. Also, you may have given your password to someone for a minor upgrade or change in website. They may no longer need to access your website after their work is done. Thus, changing the ftp and Cpanel passwords regularly will make sure no unauthorized person knows the way into your website and the number of people who know the passwords remains limited. The Two-Factor Authorization (2FA) is the best way to prevent unauthorized login. It helps given an extra level of security to your website by adding a mobile generated code or a series of secret questions. Thus, the minute any unauthorized access occurs on your website, you will know about it to take counter-preventive actions. It is important to make your websites HTTPs from HTTP as it secures it using an SSL certificate. When two parties are communicating data, the Man-In-The-Middle (MITM) can read the data sent and pick up information. To avoid this the SSL Certificate helps in creating encrypted, impenetrable link that cannot be read by any one eavesdropping between the browser and the web server. Using a suitable firewall will keep way SQL injections, cross-site scripting hacks as well as eavesdroppers. Even though you may find a Firewall an added expense, it will be fruitful in the long run. Hackers may cost you more than it costs to install a Firewall and ruin your reputation like a house of cards. So, as a professional business owner, you need to take some added steps that are essential in maintaining a safe and secure website. 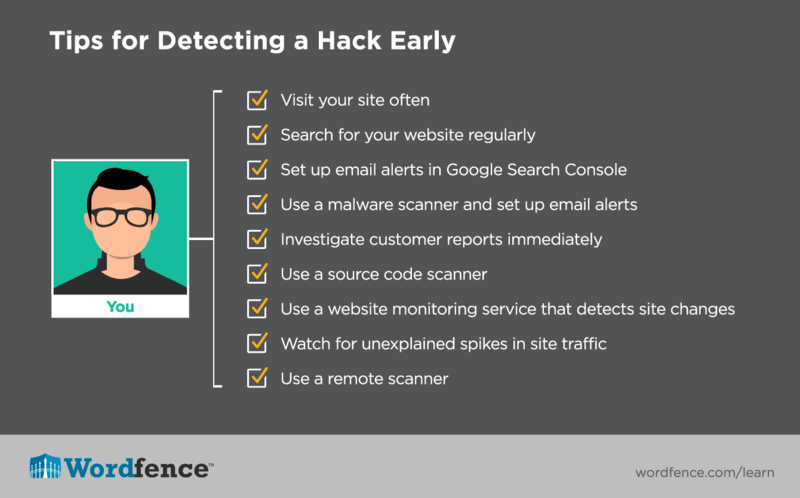 These 5 smart tips to prevent a hacking disaster for your website. 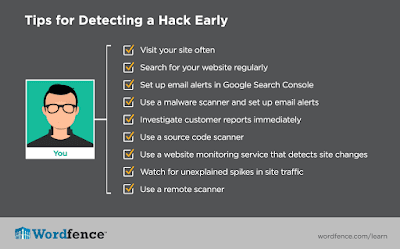 There are many other things that you should do to keep the vulnerabilities of your website from begin discovered by a person with malicious intent. Speak to a professional security expert for more guidance to prevent a hacker from hacking your website. Firewall: What Does a Firewall Do?